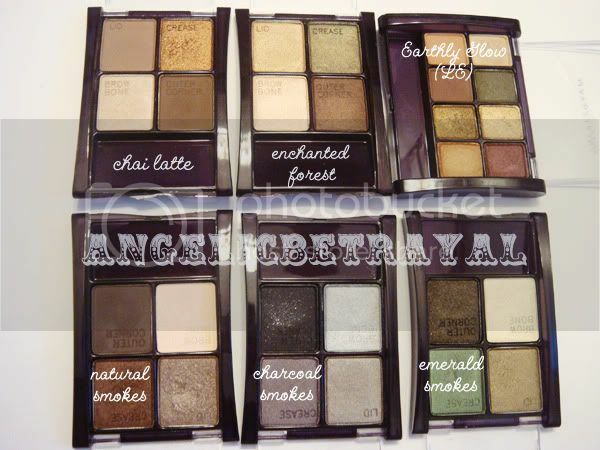 If you take a look at my makeup collection, it will be very apparent to you that I LOVE my eyeshadows. It's the largest part of my collection and although I can't use them all up, I keep buying them X_X. 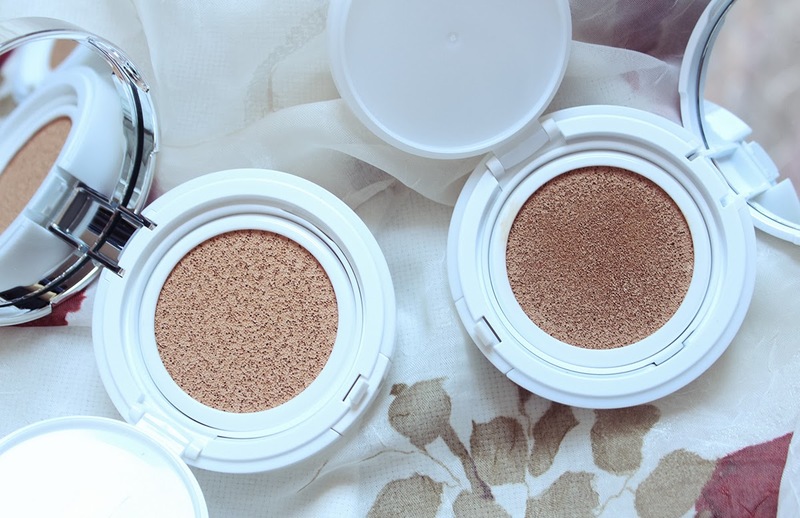 I'm a big fan of drugstore products as you've probably realized by now if you read this blog and I want to share with you one of my favorite brands for eyeshadow! Tada! My collection (thus far) of Maybelline Expertwear Eyeshadows. I plan on buying more in the future but this is what I can talk about so far :) The quads retail for about $5 - $6.50 depending on where you buy them. The 8 pan shadows retail for about $8 - $9 I believe. 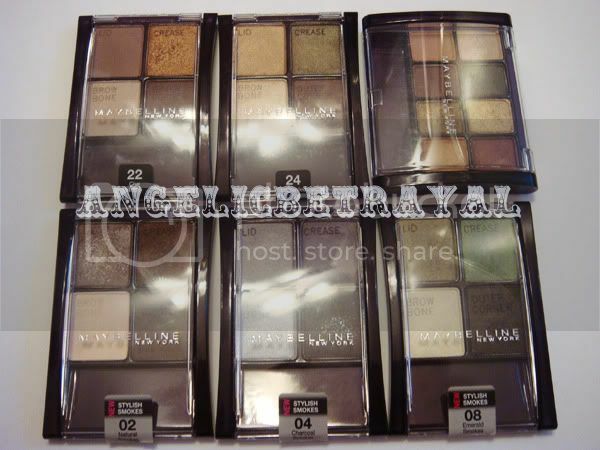 However, I did not buy any of these for retail price being the bargain shopper I am and I usually wait for BOGO or 40% sales and couple those deals with coupons to snag these shadows for a mere $2 - $3 on average. For a few bucks and some change these shadows offer you a variety of shades and finishes and I can easily say I love each and every one of the palettes I own. You should be able to find all of the quads readily at your local drugstore, Target, or Walmart. The 8 pan I have was from the past Salsa Sun summer collection and it is limited edition unfortunately. I've heard mixed reviews on these quads and some bloggers have said how much they hate these quads. 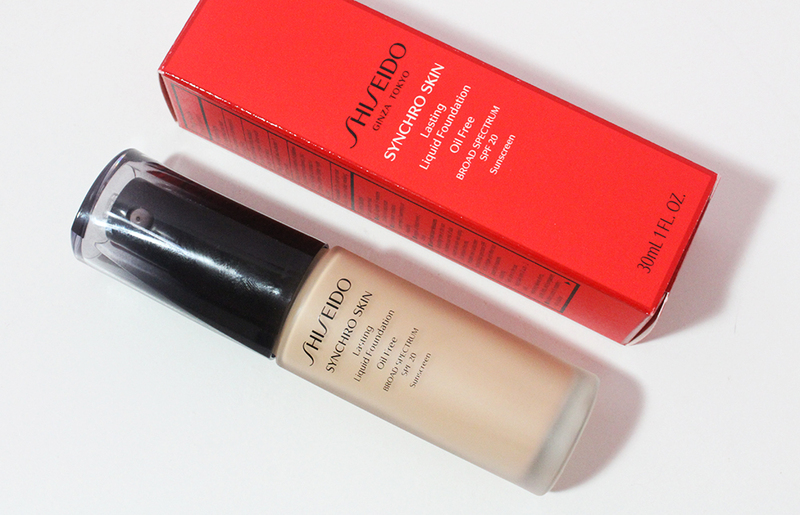 I personally find the pigmentation to be quite good in a majority of my shadows. The texture of these shadows are quite dense but I kinda like that in a shadow. When you dip your brush into these shadows, you will not have a chalky mess nor fallout. The shadows are smooth and easy to build. I also like that they are well color coordinated (aside from Charcoal Smokes which has a silver brow highlight....). These are great to bring on vacation or when you're in a hurry to do your makeup. Although the packaging is plastic, it is by no means unsturdy or cheap. While taking these pictures I accidentally dropped three of my palettes >.< but my shadows were intact and the plastic did not crack at all. I actually like the packaging of Maybelline shadows because the plastic is an interesting purple color and the lids are clear, allowing you to clearly see the color of the shadows. I think the packaging on these is much more appealing than those of Covergirl and Wet n' Wild shadows ^^ But that's just my opinion haha. 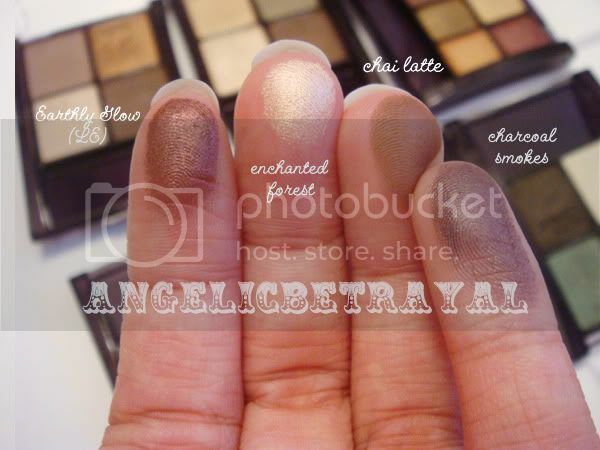 Here are a few random swatches I did to give you guys an idea of how the shadows look :) Aren't they gorgeous? I LOVE reddish plum colors and the one in the Earthly Glow palette is amazingly pigmented and such a unique shade for the drugstore. The brow highlight in the Enchanted Forest quad is great for the inner corners of your eyes as it adds a beautiful shimmer. The outer corner color of the Chai Latte quad is a nice matte brown for an everyday look. Last but not least, the lid color for the Charcoal Smokes quad is decently pigmented and will be perfect for an easy smokey eye. Hope you guys enjoyed this post and if you want me to review a specific palette first please tell me in the comments!! Enchanted Forest looks kind of like Emerald Smokes xD but lighter. I love Chai Latte. I use it for my eyes and my brows. My fave out of these quads would have to be the Chai latte and natural smokes. Have you seen the purple smokes? that one is gorgeous!